Have you ever been irritated that you could not get a proper religious Icon on your Holiday. You can now with this mod. 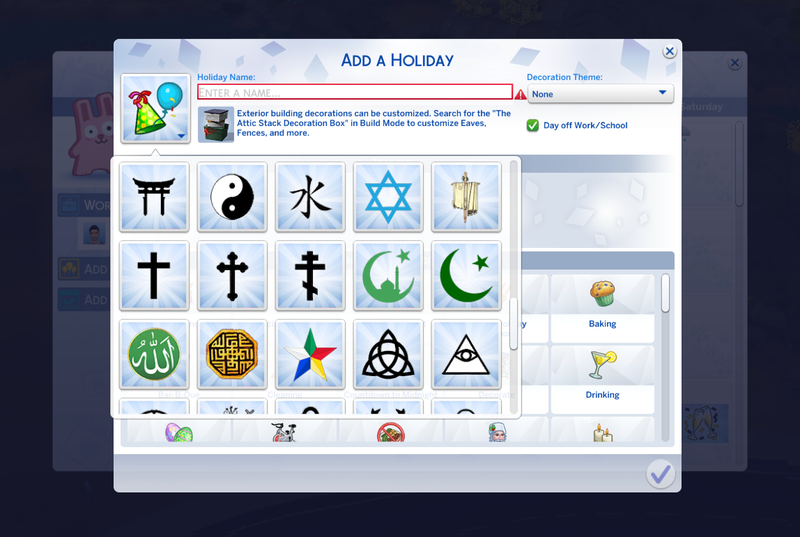 The intention with this mod is to provide religious Icons for the in game Sims calendar that came with the Seasons expansion pack. 35 different religious traditions is represented. Some with more than one symbol. Obviously there is more than 35 religions in the world so if your tradition is not here or I have missed a symbol, please feel free to wright your suggestion in the comment section. 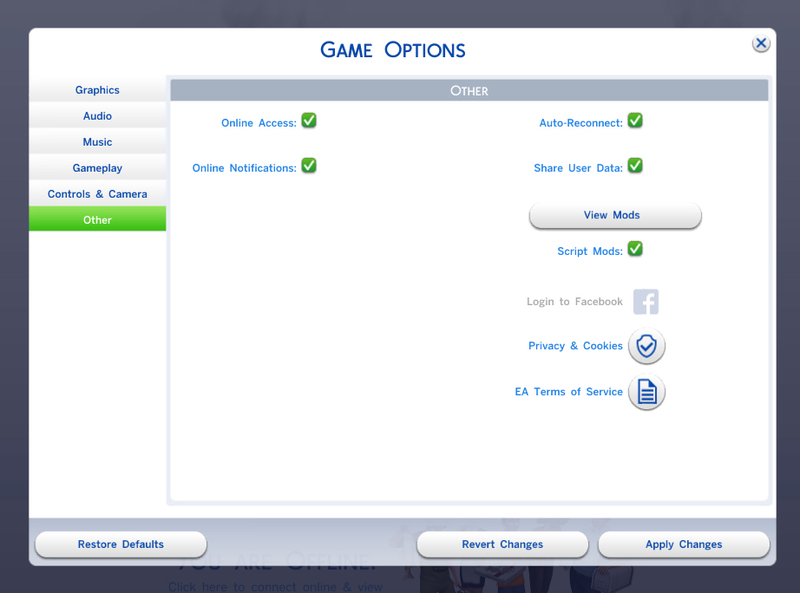 I will then include it in an update of this mod. I am not an expert on all 35 religions, so if I have made a mistake you are also welcome to write it in the comment section. With 35 different religious traditions there is plenty of stuff to start a religious war so please don't start it and don't write any bigoted comments about any religion. That is not what this mod is about. I Did wonder If I should add Satanism and Atheism but I ended up doing so any way because someone might have made an issue out of it. I am not going to add the church of the flying Spaghetti monster for that simple reason that it is invented as an Atheist mockery of religion. That is basically why I added the Atheist symbol. So use that instead or maybe to celebrate Christopher Hitchens birthday or something. Finally I also included the hammer and sickle. I will not say that communism is a religion, but my reason for adding it is if someone wants to celebrate the 1. of may. A popular holiday in large parts of the world. My mod is an override mod because using an override file is the only way I know to get extra Holiday Icons into the game. 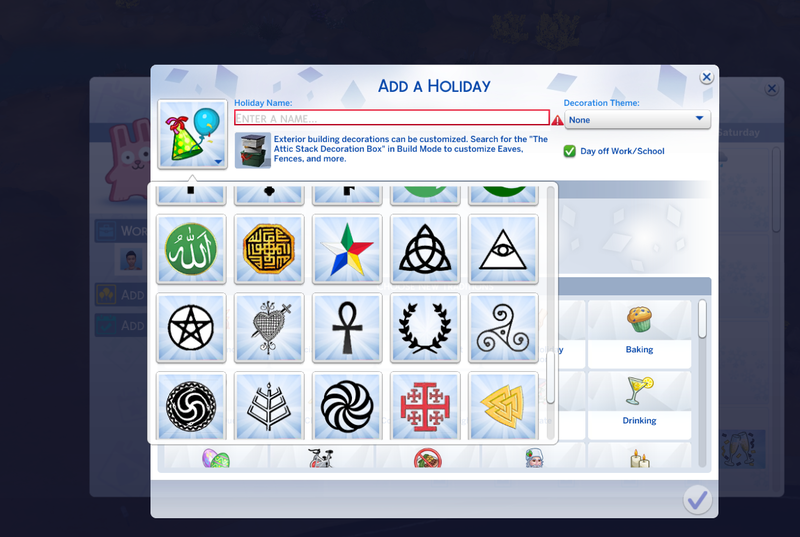 My mod does not override EA's Holiday Icons because I also reference them. 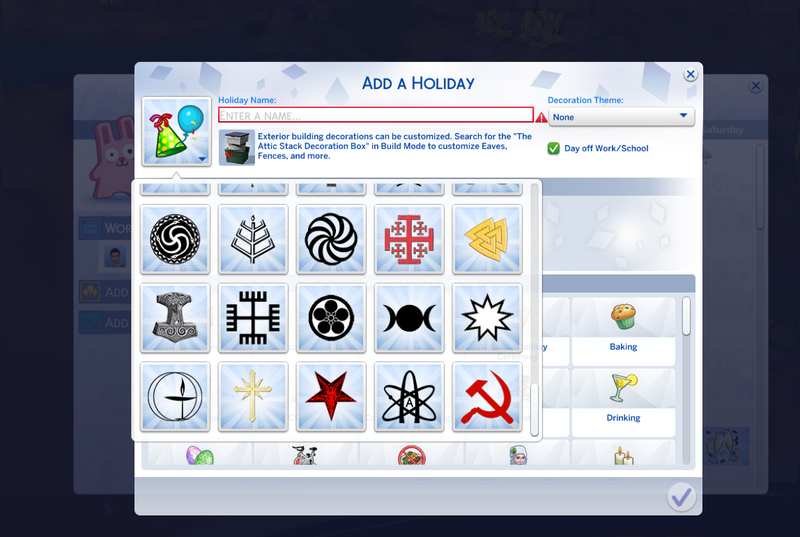 However any mod that adds new Holiday Icons to the game will conflict with my mod. Even if they are only referencing Icons that is all ready in the game. 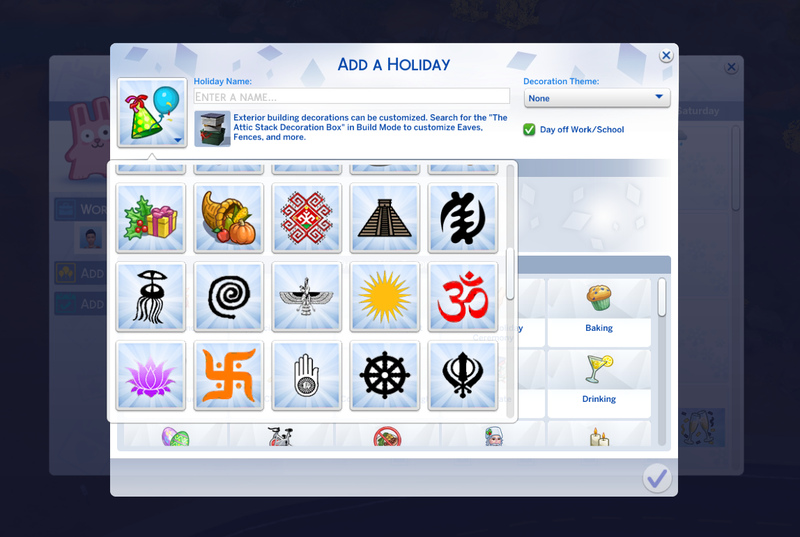 My mod will conflict with anything that uses the files named "holidays.holiday_definition.HolidayDefinition" "holidays.holiday_definition" with the following resource ID: "FD72BAB73485CDFD" and "0C39BF0D079C8CEF"
NB! I have discovered that this mod does not work if you have Basemental-Drugs-1.9.0.72 installed. For some reason the dude who made that mod decided to include LittleMsSam's list of in game icons that is not compatible with this mod to his own mod. If you want to make your own compatible mod or a limited version of my mod then there is a tutorial in the zip-file that will tell you what to do. !Only use one of them! ReligiousSims_ReligiousHolydayIcons_CompatabilityFix.zip | Description: File to use if you are using an other Holiday Icon mod that has been made compatible with mine or if you want to make a limited version of my mod.